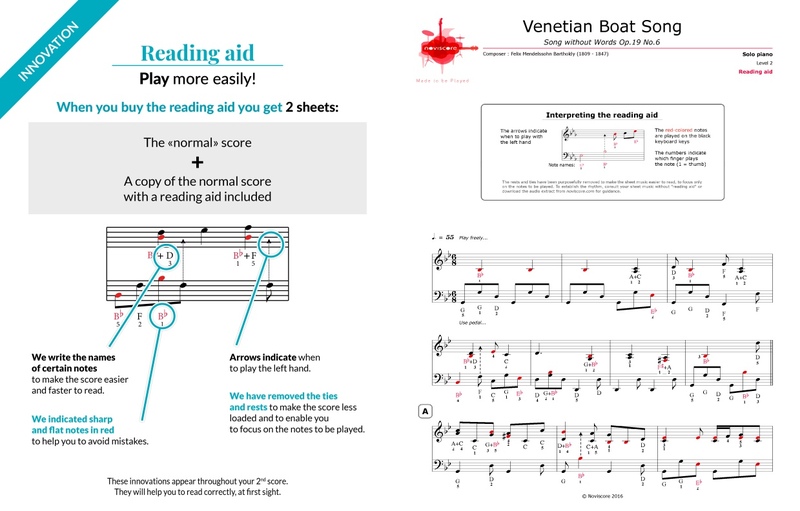 Composed by Felix Mendelssohn, the Venetian Boat Song is also known as the "Romance No. 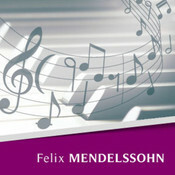 6 Opus 19" or Gondola Song drawn from the collection “Songs Without Words” composed between 1829 and 1830. 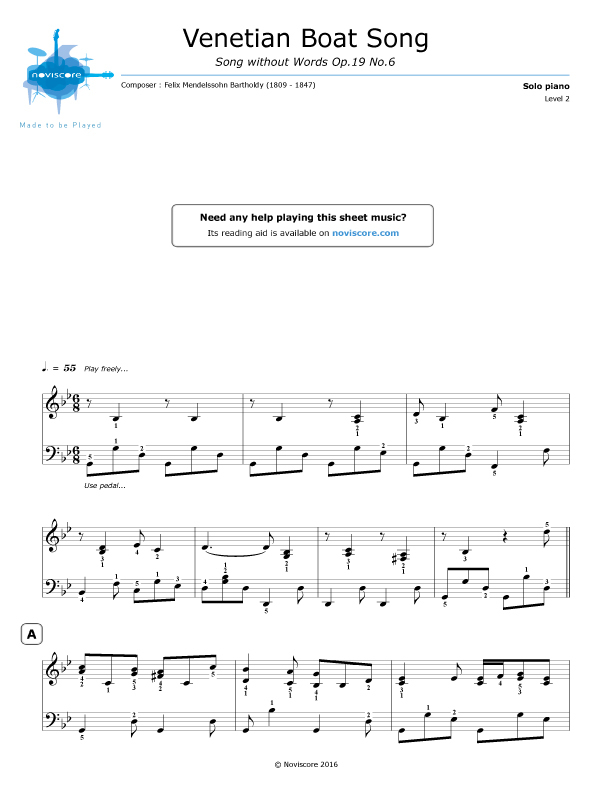 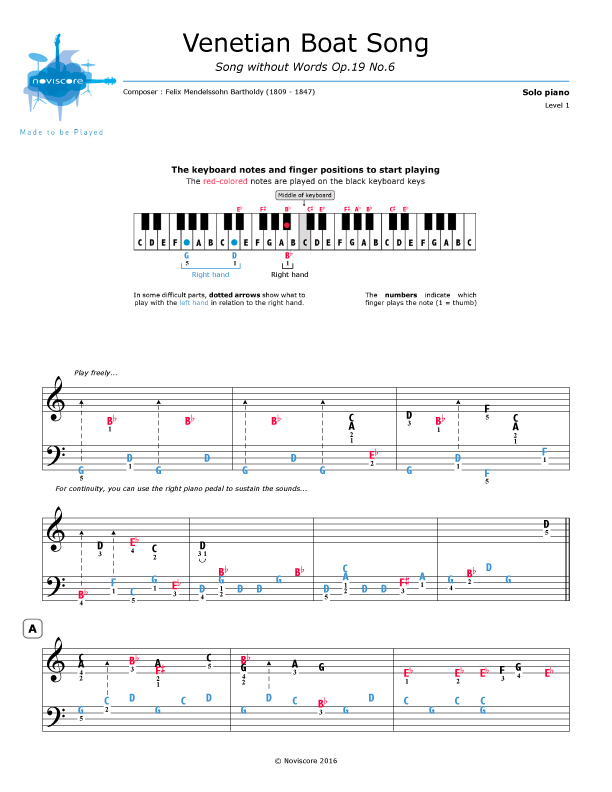 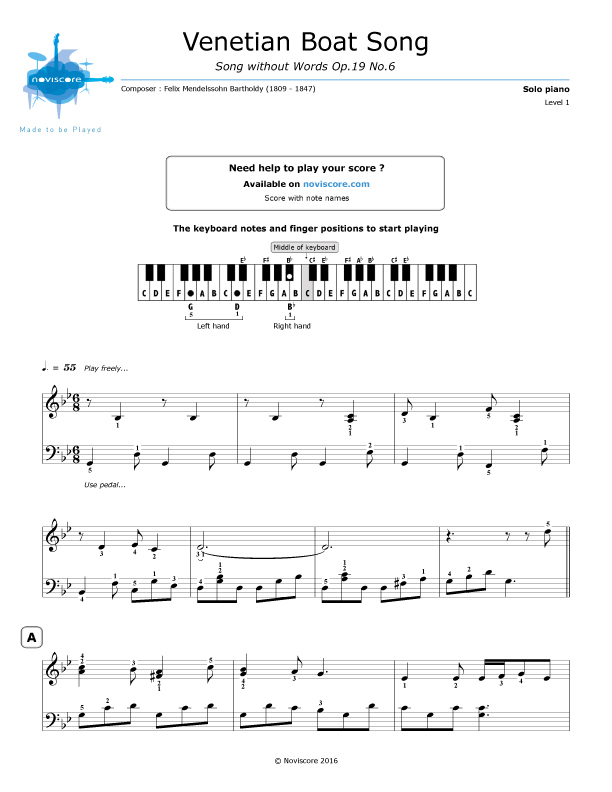 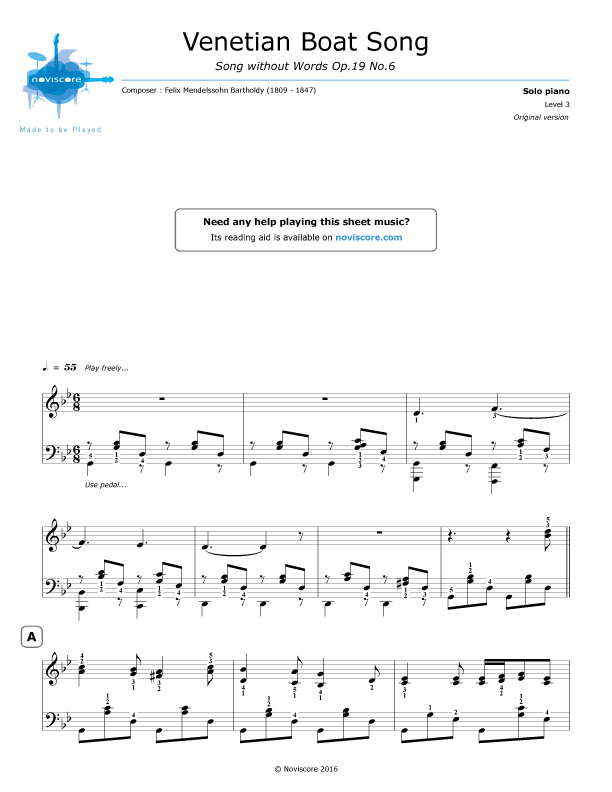 Discover our piano sheet music in different skill levels from the original version (level 3) to an easy piano version (level 1). 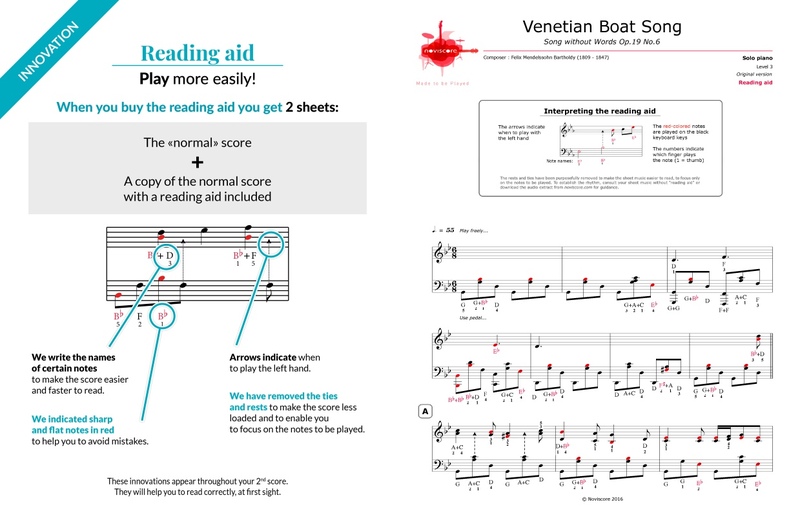 If music theory is not your strong point, consider trying our reading aids that will make your deciphering easier and faster to learn the piece.